A message in a bottle thrown into the North Sea from the UK in 1906 and found 108 years later in 2015 in Germany has been certified by Guinness World Records as the oldest message in a bottle ever discovered. Scientist George Parker Bidder cast more than 1,000 bottles into the ocean as an experiment to study currents, and a postcard inside asked the finder to answer questions and return the card for a shilling. A woman visiting Amrum Island in Germany found the bottle and returned the postcard to the Marine Biological Association of the United Kingdom 108 years, four months and 18 days after it started its journey. Titanosaur hatchlings were born as small versions of their parents, able to fend for themselves almost from the moment of birth, according to findings published by the American Association for the Advancement of Science. Researchers have had few opportunities to study baby titanosaurs and were excited to find a hatchling's bone in a museum drawer among crocodile fossils so they could learn more about the young creatures. Study of the bone determined the hatchling was between 39 and 77 days old when it died. The gene behind the various beak sizes of Darwin's finches on the Galapagos Islands has been identified, a study in Science suggests. Researchers observed an evolutionary change in the birds' beak size that occurred during a drought on the islands in 2003 and linked it to the HMGA2 gene. "A big question was, 'Is it possible to identify genes underlying such evolution in action, even in a natural population?' We were able to nail down genes that have directly played a role in this evolutionary change," said study author Leif Andersson. The dinosaur ancestors of modern birds may have survived the mass extinction of the Cretaceous period because their beaks allowed them to peck on seeds in the nuclear winter that followed a deadly meteor strike, researchers say. "After this meteor, you're left with essentially a nuclear winter where really not much is growing, the plants aren't able to grow to provide nourishment for plant-eaters and then meat-eaters aren't able to access plant-eaters if they've all perished," said Derek Larson, author of the study published in Current Biology. Seeds were one of the few forms of sustenance during this time, researchers say. Scientists say a free-floating planetary mass spotted in deep space is likely a brown dwarf. Data from NASA's Wide-field Infrared Survey Explorer and the Two Micron All Sky Survey led to the discovery of WISEA 1147, which is between five and 10 times Jupiter's mass and is about 10 million years old, researchers say. 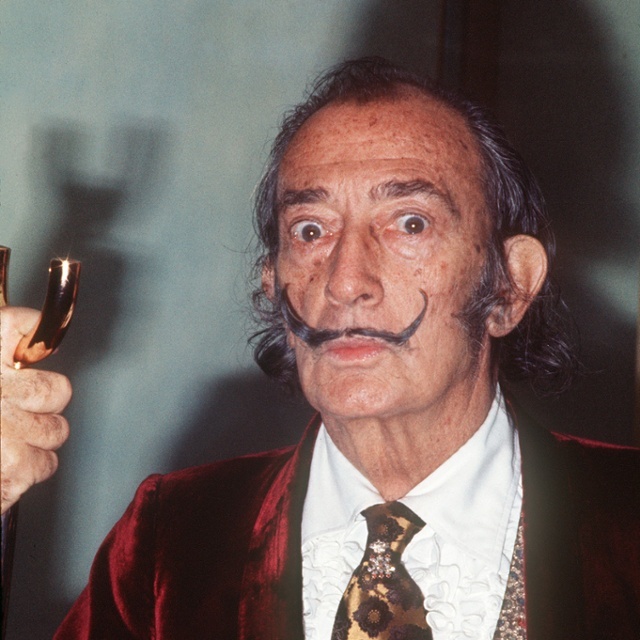 Scientists used a painting by Salvador Dali to help them discover how the brain processes information. Researchers asked study participants to examine Dali's 1940 work "Slave Market with the Disappearing Bust of Voltaire," which is visually ambiguous. "We found very early on ... that the brain processes very specific features such as the left eye, the right eye, the corner of the nose, the corner of the mouth," said study leader Philippe Schyns, who added, "But then subsequent to this ... we also found that the brain transfers features across the two hemispheres in order to construct a full representation of the stimulus." Tiny amounts of a radioactive form of iron linked to long-ago supernovae have been found in dust just now reaching the Earth via cosmic rays, according to scientists. Researchers studied data collected by NASA's Cosmic Ray Isotope Spectrometer over a 17-year period and found a rare form of iron created by supernovae. The findings were published in Science. Two research projects at Kent State University have received federal grants totaling more than $1 million. The National Institutes of Health has awarded $444,000 to the school's study on the impact of the synthetic hormone Pramlintide on Alzheimer's patients. NASA has awarded $565,000 to Kent State's study of Great Lakes water clarity as it relates to climate change.